A trained chemist, ideas of rewilding and nature conservation were far from her mind when she and her husband arrived in their new home in northwest Poland. They came to seek a quieter, less hectic life after years of living in the big city. As they were soon to find out, they had come to a very special place. 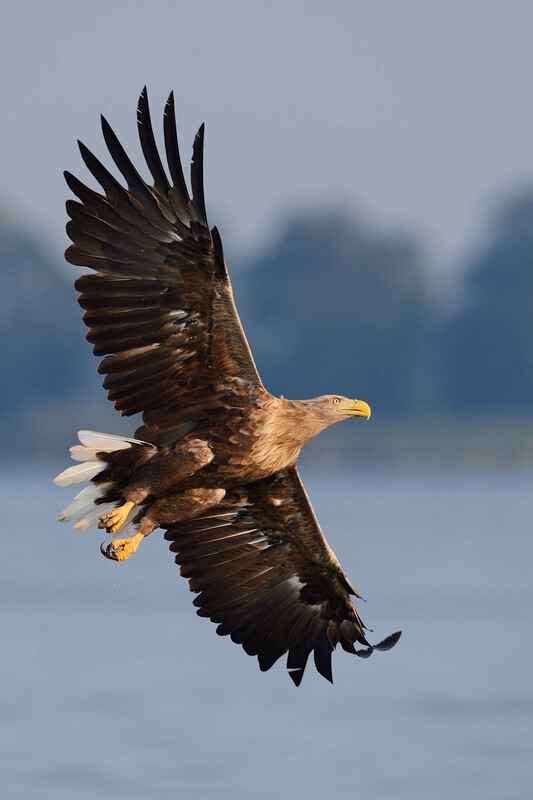 Kopice, located in the heart of the Oder Delta region, among other wildlife wonders is the number one hotspot for breeding white-tailed eagles in Europe. Seeing Poland’s national animal soar through the skies behind their house, Iwona and her husband were struck by the awe-inspiring beauty of wild nature that could be found on their very doorstep. They were thrilled to discover that, with such a rich natural heritage in their own backyard, there was no need to travel to exotic, faraway places to experience wildlife. To their great surprise, however, there were not many visitors to the area in search of similar experiences. In fact, there seemed to be an almost complete lack of tourists, and no infrastructure in place to accommodate them. How could this be in a place as ecologically rich and exciting as this? And, more importantly, what could be done to raise awareness of the area’s unique natural capital? To Iwona, this presented a great opportunity. Having always been interested in responsible and sustainable tourism, she now had the chance to launch a business that would benefit both nature and the local community. She soon started building a local network of restaurant owners, farmers and other interested parties, always mindful of the fact that ultimately a thriving wildlife would be the pillar of the project’s success. In 2011, a controversial wind turbine proposal loomed over the Oder Delta. Fearing that its wildlife was under threat, Iwona and her husband took action and prevented it from going forward. Having nominated the Oder Delta as one of the rewilding areas of Rewilding Europe themselves, DUH urged Iwona to join this initiative and establish Kopice and surroundings as an official rewilding site. In June 2015, the Oder Delta officially became the eighth rewilding area, and Iwona proudly took on the team leader role for the Polish side. 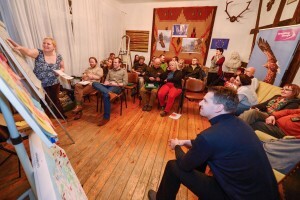 Stretching over 250,000 hectares across the border region between Germany and Poland, it is one of Rewilding Europe’s trans-border rewilding areas, and both sides benefit from an ongoing exchange of ideas and expertise. On Iwona’s end, a diverse team of people from different backgrounds has come together to work towards a wilder landscape, including ornithologists, freshwater ecologists and marketing and communications strategists. Liaising between all team members makes for a varied and interesting job, but Iwona’s favourite aspect of her role is the promotion of rewilding enterprises among the local community. 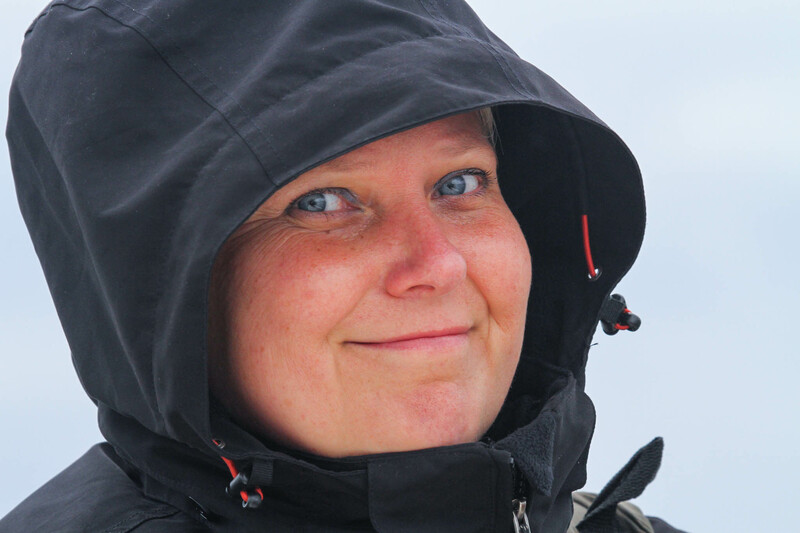 It is her firm belief that people need an emotional connection to the natural world in order to care for it. This is something she experienced first-hand when she spotted her first white-tailed eagle. She now wants to instill a similar sense of pride and guardianship among local residents, and to demonstrate that wild nature and thriving communities go hand in hand. There are, of course, challenges to be overcome. Convincing farmers to take a rewilding approach on their land takes some convincing, as mowing will often earn them higher government subsidies than leaving the land to itself. Already, there are some early success stories, as two farmers have agreed to replace mowing with natural grazing by bison, and local hunters have established no-hunting-zones around wildlife watching hides. Unlike elsewhere in Europe, there is also no climate of fear regarding large predators, and wolf sightings are reported with pride and enthusiasm. All this is cause for optimism and a clear sign that, while there is still much work ahead of her, Iwona is on the right path to making the vision of a wild and thriving Oder Delta a reality. This is the third part of a series about the Team Leaders in Rewilding Europe’s rewilding landscapes. Rewilding Europe volunteer Arne Loth who is based in the United Kingdom writes the profiles.